The end of this stocking aid rotates making it easier to pass around the heel area. The Brevetti Sock and Stocking Puller promotes independence when dressing for those with restricted mobility or dexterity. 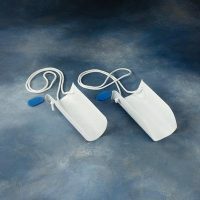 It enables the user to don socks and stockings by way of a plastic gutter on one end, for holding the garment and placing in the foot, and a plastic shoehorn connected by a steel tube at the other, which can be easily pulled to apply the sock. 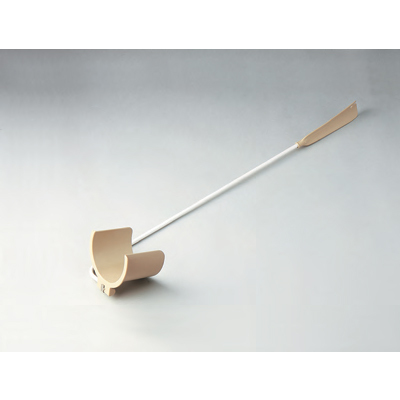 The shoehorn also has a notch for easy sock removal.